Image: Fugitive British officers and their families attacked by mutineers. Size of this preview: 734 × 600 pixels. Other resolutions: 294 × 240 pixels | 760 × 621 pixels. 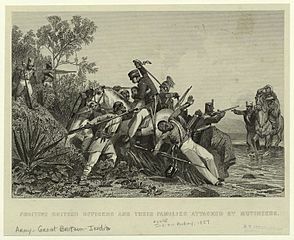 Title: Fugitive British officers and their families attacked by mutineers. 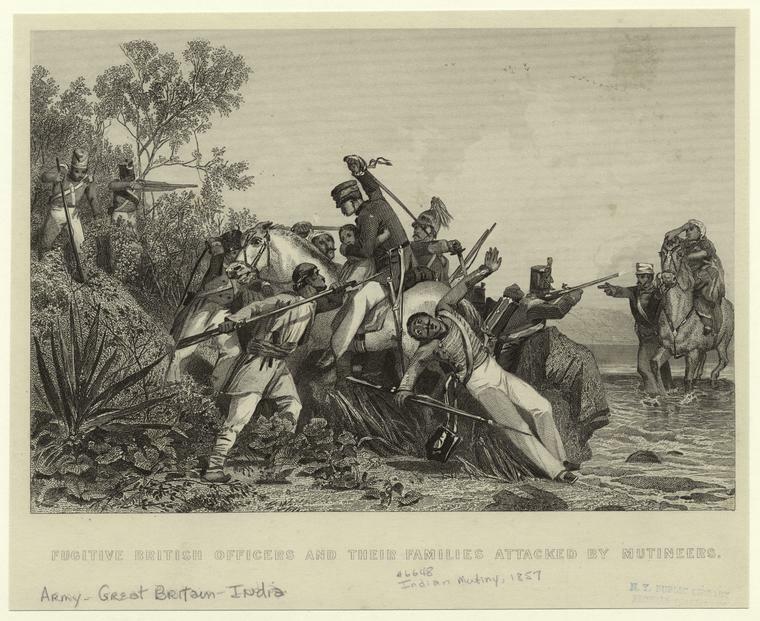 Credit: From History of the Indian mutiny : giving detailed account of the Sepoy insurrection in India. London Printing and Publishing Co., 1859) Ball, Charles, Author. This page was last modified on 20 April 2017, at 18:10.